0x9020 and 0x9120 have slightly different manufacturer naming. I own an INTEL 28F800B3B but when launching ntrboot_flasher I get the message "Flashcart setup failed". I think that I've previosly updated it with official TTDS software, so it should be flashable. Could someone tell me where they got this DSTT Flash Checker program? I opened my DSTT card but couldn't find the type of chip and googling gave me no results on where to download it. 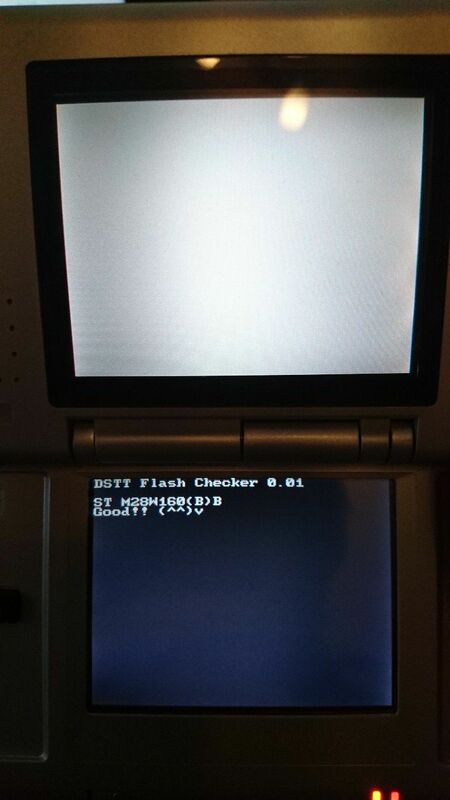 Start the DsttFlashChecker.nds from the .zip on your DSTT to open the DSTT flash checker program. @Agadroid Thanks a lot, I wasn't able to find it on my own. Running the DSTT Flash Checker tells me I have a SPANSION MBM29LV400BC, so if I understand this list correctly that one should be supported. That's good to know, but I think I'll wait until the ntrboot_flasher supports backup and restore so I can return my DSTT to its original firmware once I am done with it. @Jvolt7 If you run the flash checker it'll show the chip you have on the second line. I just hit CTRL+F and typed that in here on this page and it gave me the right code that goes with it, since most (if not all) links to the chip documentation include its official name. I would try that first. Now thats a fake one or what? I used DSTT Flash Checker and got MACRONIX MX29LV400B Good! Interestingly the original DSTT test build of ntrboot flasher worked with this but it's not on this list here at all. I tried using the newest ntrboot flasher but all that did was make the card invisible and unusable. I wasn't able to check whether it actually worked for ntrboot or not though, I just restored my flash back to the test version that worked previously. When i ran the checker it says What is this? I do not know this cart. Does it mean it is not supported? 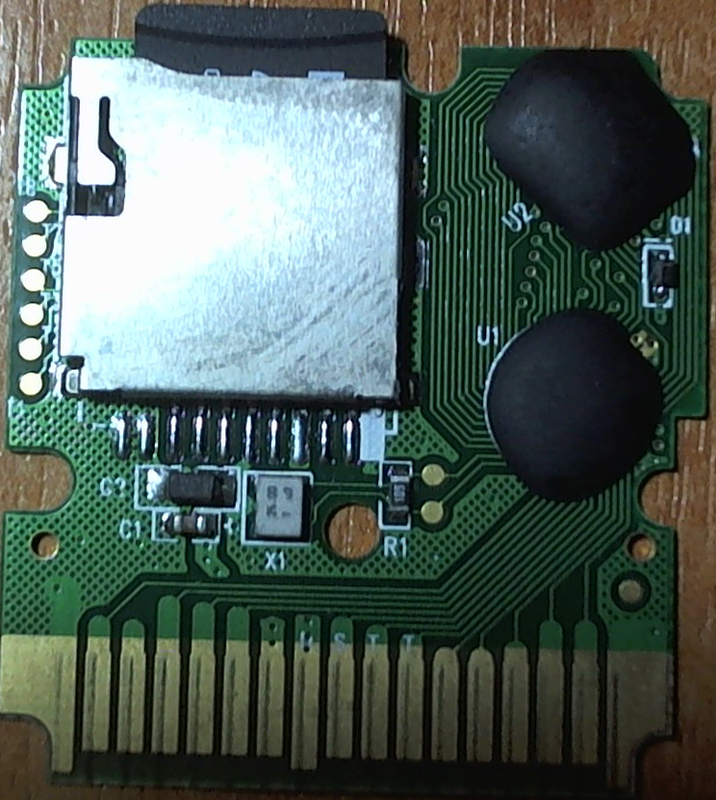 I have a DSTT flashcart, the setup didn't work. It looks like the official DSTT cart. Like @jaxrodgers2, I too was unable to use the latest ntr flasher to flash a MACRONIX MX29LV400B chip... I just received a DSTT from nds-card today. 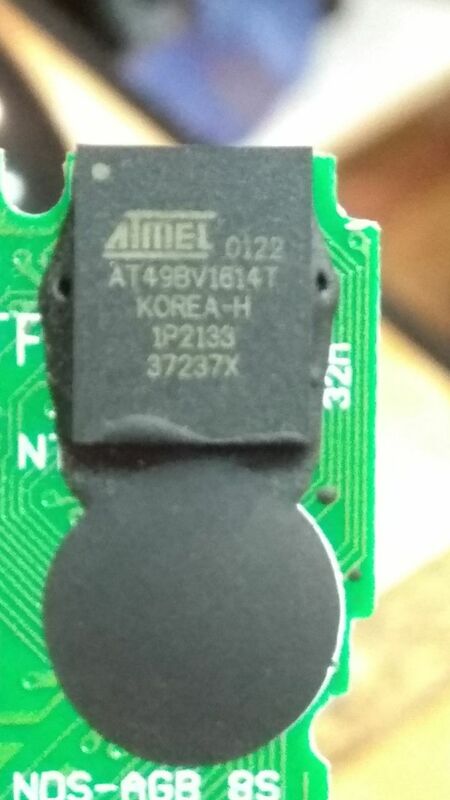 It has a 'DSTT' label on the front of it that can be removed to reveal the chip inside it. I downgraded the ntr_bootflasher to version 0.2.0 and successfully injected ntrboot. I suspect that there is something going wrong with the latest version of the flasher. It tried both the NDS method AND I have another B9S 3ds that I could run the latest flasher too for the record - neither worked. Both my DSTT cards that can have NTRBOOT injected with the old version freeze on "Reading 99%" on the new version, both b9s 3ds and ds flashers have the same result. Hi everybody, I used this flashcard: SHARP LH28F160BGHB-BTL, and worked correctly. Just in case someone has the same and is not sure if it'll work or not. I Used Ctrl+F And Saw my model in the "Unknown datasheets but SHOULD BE "supported" Flashchip IDs" Section. 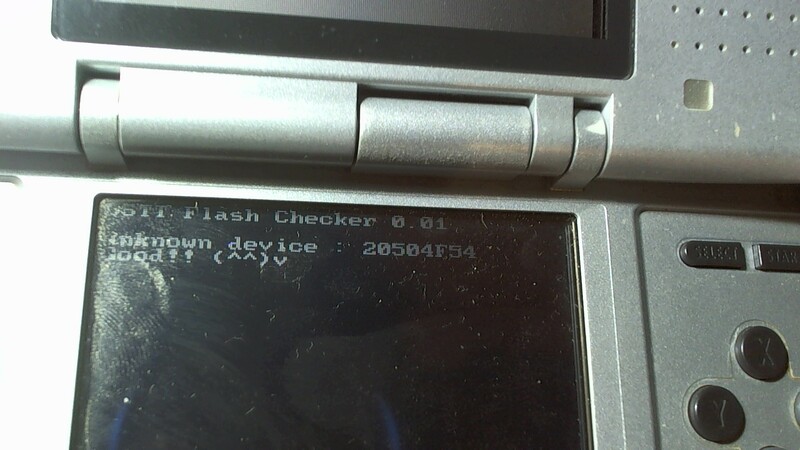 However When Using the "ds_ntrboot_Flasher_dsi.nds" I get The message "Flashcart setup failed". Any body know what I should do? Do I need a certain Firmware? If so Can I Have a link or something? Thanks! As @euroeocorekuneho i also had the same info. Unknown device: 20504F54 any idea what to do?